The gist: For the past year or so, LCG has honed policy for the dawn of 5G networks. 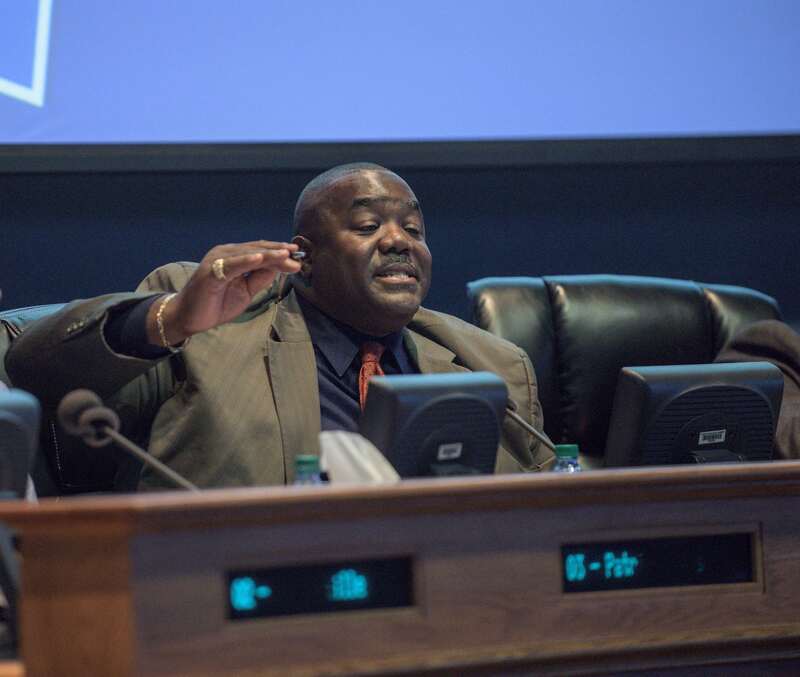 Tired of waiting, Councilman Kenneth Boudreaux short-circuited the deliberation, introducing his own policy ahead of the administration’s schedule. Stop. What’s 5G? A quick oversimplification: 5G is the next (fifth) generation of cellular networks projected to supplant 4G and LTE service in the coming years. 5G networks use dense clusters of small wireless transmitter boxes, attached to existing utility poles or mounted on short towers, to broadcast connections comparable to fiber speeds and reliability. Phones have not yet been developed to use 5G — AT&T’s 5G E is not 5G; it’s LTE plus marketing — but the event horizon is only a couple of years away. Cities are now grappling with policies to deal with fleets of transmitter boxes — i.e. “small wireless facilities” — in public rights of way. It’s progress, but also a nuisance. Boudreaux compiled a policy to regulate deployment of 5G transmitters in the city and unincorporated areas of the parish. He introduced it as an ordinance, which governs “small wireless facilities,” at Tuesday’s City-Parish Council meeting. It defines things like fees and permitting and defines aesthetic restrictions. Over the past year or so, Boudreaux tells me, he talked with some of the major telecoms developing the technology — like Cox, Verizon and AT&T — but pulled from policies adopted in other Louisiana cities to craft his ordinance. His draft resembles one passed in Baton Rouge in 2017 and shares some of the same exact language. He says the administration should have acted a while ago. He forced the administration to move. Boudreaux allowed LCG’s legal team to sub in its own draft ordinance as an amendment to his. The legal department and administration worked for the last year or so on the policy with a D.C. law firm specializing in communications. The administration’s draft policy is more detailed and applies stricter guidelines for how the boxes look and where they can be placed. Fees are different too: Boudreaux’s ordinance charges $270 annually per device to add them to city-owned utility poles; while the administration's policy bills $220. You can view Boudreaux’s original ordinance here. And the administration’s ordinance here. Rapidly adopted policies have caused problems in other markets. Baton Rouge rushed an industry-friendly ordinance in July 2017 only to circle back to close loopholes later that year. Still, downtowners there fussed when AT&T began planting 80 5G towers, sometimes in the middle of sidewalks. 5G could pressure LUS Fiber. Some observers say the technology could one day challenge fiber-to-the-home internet service. 5G networks are cheaper to build in neighborhoods that don’t currently have fiber-to-the-home in place (like many of the areas Boudreaux represents) and can be used to add fixed internet service wirelessly. Others say it’s not likely to supplant fiber service altogether, but it could muscle fiber-based internet providers around in the market. What to watch for: How the council approaches the policy discussion going forward. Boudreaux’s move appears to have pushed the administration into the conversation ahead of schedule, and the draft ordinance swapped in is now subject to council debate at final adoption in a couple of weeks. Other communities have haggled over how much to charge telecoms for the use of public space. Baton Rouge charges $250 per device. Other cities charge thousands. Money will play a big factor in the discussion here.